Southwest style print in softer colors in blues and tan colors in a 100% cotton face cloth. 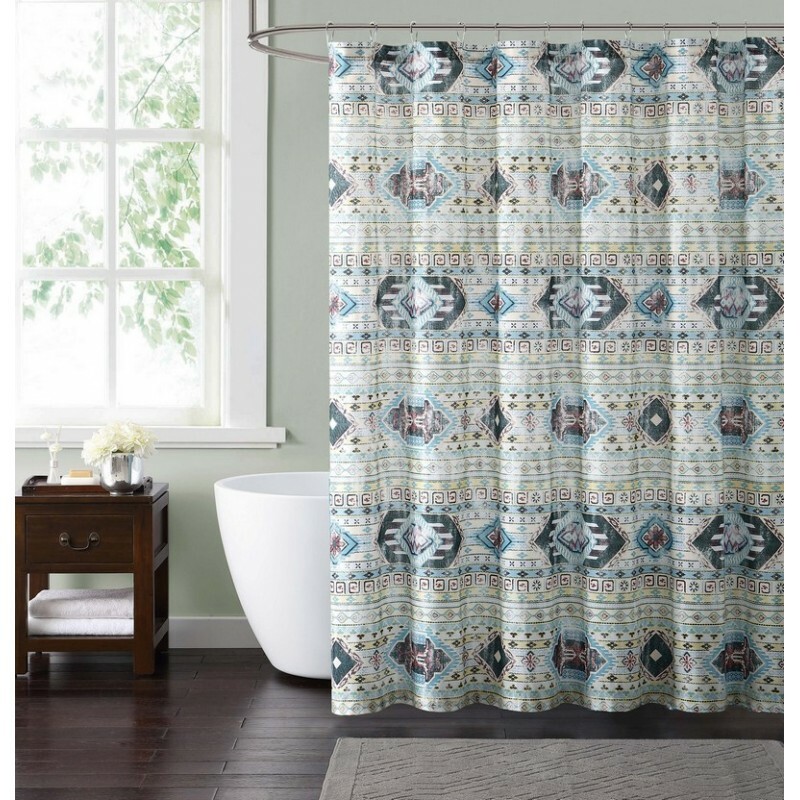 The shower curtain has reinforced hook holes (hooks are not included an dmust be purchased separately). This item should be used with a liner (not included).